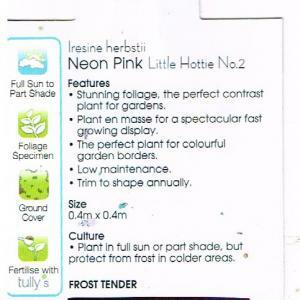 A compact tidy form with finer leaves compared to the common form. 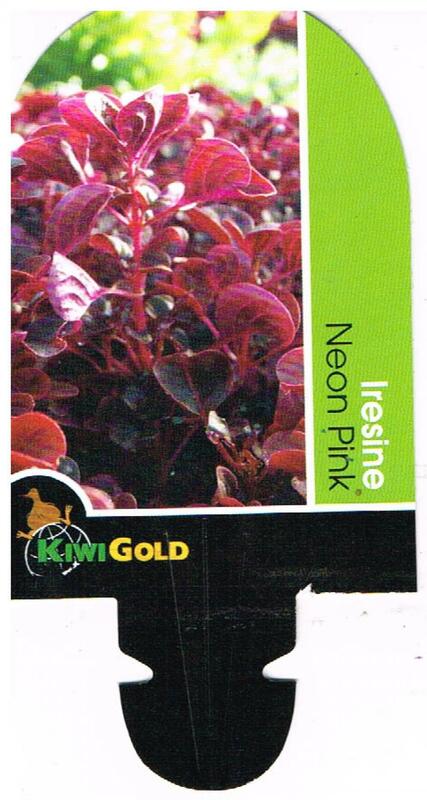 Its leaves have stunning vivid pink ribs that stand out in any garden. 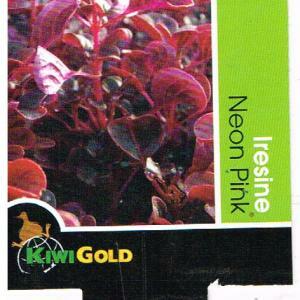 Neon Pink™ Iresine is a perfect foliage contrast plant for general gardening. 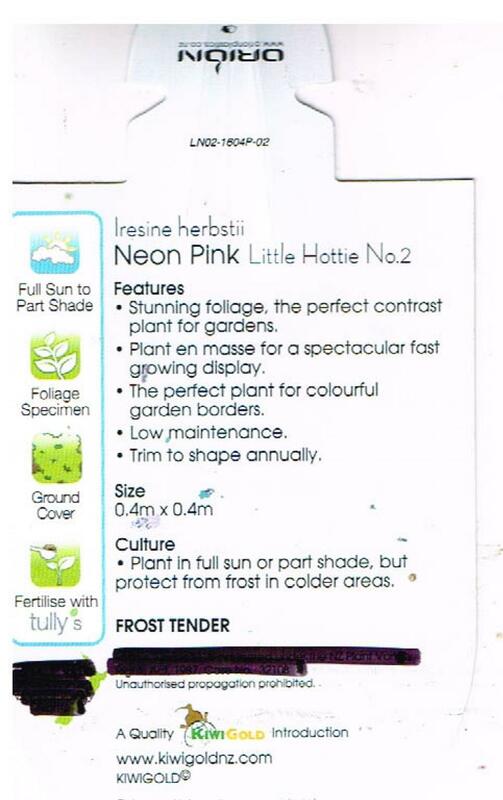 It\'s a frost tender shrub, so it will need to be planted in a sheltered position to protect it from light frost.Drought tender.